Are you looking for the best vocational schools in Las Vegas Nevada? We have created a list of the best schools in this area using reviews from students who have attended these schools. To put a school on this list, we look at vital statistics made available by the United States Department of Education. We also identified schools that have programs that impact the communities in which they operate. The Brightwood College opened its doors for the first time in 1990. Then it was called The Professional Careers Inc. It would later be known as the Heritage College in the years that followed. The name would later change to Kaplan College in 2008 and then changed to its current name in 2016. 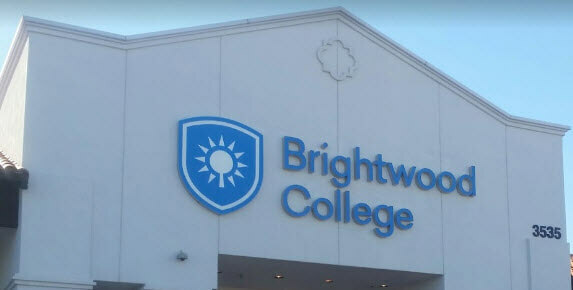 The aim of Brightwood College, Las Vegas Campus, is to help ensure that every graduate has the knowledge and experience to follow a career that is rewarding. Students can choose from several programs including Allied Health, Nursing, and Continuing Education. Students at the Las Vegas Campus can select programs from 3 disciplines. Prospective students who want to know what it will cost for them to get a qualification from this college can calculate their fees here. Learners who require financial assistance can contact the college where they can get more information about available grants, scholarships, loans and other payment options. One of the most important things to consider before deciding to enroll in a college is its accreditation. This indicates that the school meets a set of independent standards when it comes to quality. It also enhances the value of the qualification you receive from the college. The Brightwood College has accreditation from the Council of Independent Colleges and Schools. Students who want to verify this accreditation are free to contact the council via their website. More information about this college is available on their website or by contacting them at (702) 368-2338. 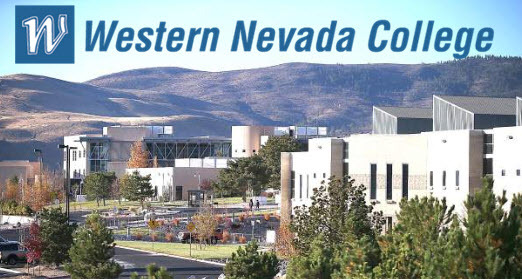 The Western Nevada College has been in operation since 1971. The aim of this college is to offer an education that is affordable while at the same time maintaining high quality. The college recognizes that every student is an individual with their own unique needs, fears, and aspirations. Students at this college can enroll in any one of three divisions of the... ...college. Students who enroll into this division can earn a Bachelor of Technology Degree, Associate of Applied Science Degrees, special academic programs, and certificates of achievement. Students looking for certification and licensing preparation can also enroll in this department. Students enrolling in this department and completing all the required work will be awarded Associate of General Studies, Associate of Arts, or Associate of Science Degrees. Courses in this department include Applied Science in Nursing, Nursing Assistant, Emergency Medical Services, and Laboratory Technician. Students enrolling into this college are responsible for costs associated with registration. Students who pay their fees late are charged a penalty of $25. If a student is unable to pay all the fees at once, they can arrange with the college for a payment plan. 3-Pay Plan. A student who successfully negotiates to pay fees using this plan can pay the balance of their fees over 3 equal installments after paying the initial deposit. 2-Pay Plan. This plan is available up to the second payment deadline for a particular semester. The balance owed is divided into two equal payments. Students Who Want to enroll for tuition in this college can visit the college’s website, call at 775-445-3000, or send an email to info_desk@wnc.edu. Las Vegas is the synonym for hospitality in the United States. It then makes sense that in Las Vegas, one of the best schools is The Culinary Academy of Las Vegas. It provides training for people working in the Las Vegas hospitality industry. Qualifications obtained from this academy are internationally recognized. Students enrolling into this college can expect to receive real-world training as they work in the restaurants that belong to the school; the Westside Bistro. The college also has its own catering division which operates as a business. This college plays a fundamental role in the community where it works to alleviate poverty and unemployment. Since the college opened in 1993, they have offered training in various forms to more than 40,000 students. Every class in this college has a license from the Nevada Commission on Post-Secondary Education. Each class at the Culinary Academy Of Las Vegas aims to help students gain a vocational education, basics of the workplace, support with communication and customer service. The training has accreditation from the Nevada Commission on Post-Secondary Education. When employers look at someone who arrives from this training, they equate them to someone who has one year experience on the job. The college offers upgrade training for free to workers from properties that participate. This does not only enhance their skills, it makes them more eligible for promotion and to earn more money. The college also offers customized training for sites that are looking for specialized training. The Culinary Academy of Las Vegas has a relationship with the community which includes the provision of nutritious meals to families that earn incomes too low to adequately meet their nutritional needs. They also offer hot meals on a daily basis to the elderly and veterans. All this food is prepared by the students of this college. Prospective students who want to learn more about Culinary Academy Of Las Vegas can visit their website or call the at (702) 924-2100. You can also contact the college by filling in a form on their website.